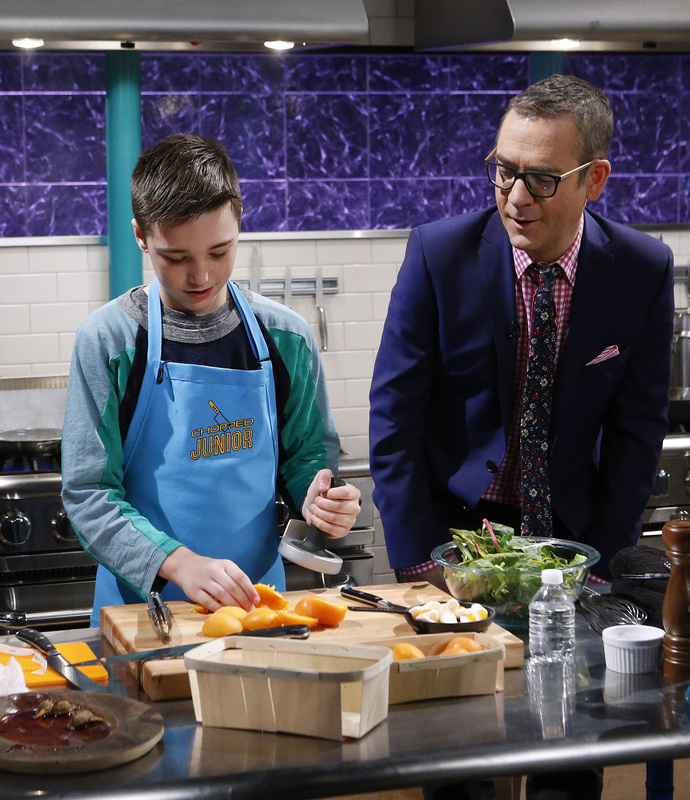 Little chefs with tremendous ambition and talent take over the Chopped kitchen on season two of Chopped Junior, premiering Tuesday, April 26th at 8pm ET/PT on Food Network. 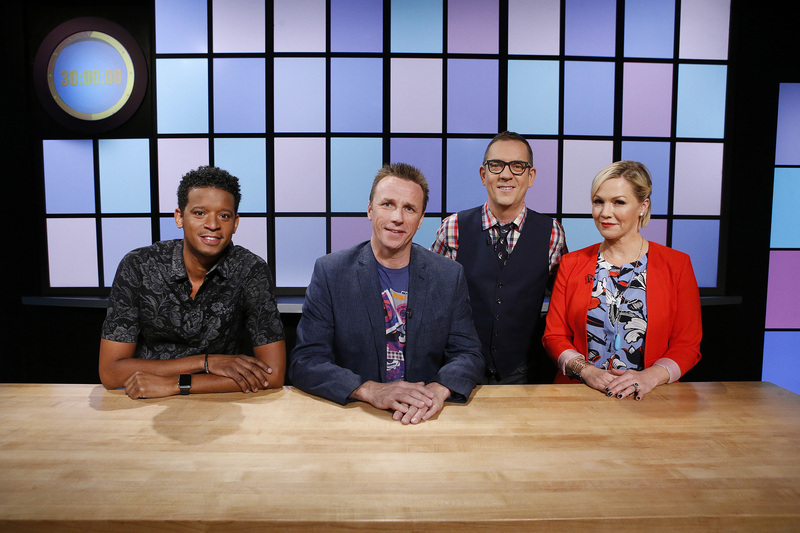 Hosted by Ted Allen, Chopped Junior showcases the talents of girls and boys seeking to make unforgettable meals from mystery ingredients over three rounds – appetizer, entrée, and dessert – with a limited amount of time. 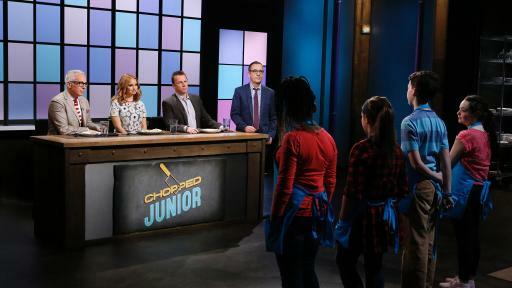 One-by-one, the junior chef that is not up to par will be eliminated, with the last one remaining crowned Chopped Junior Champion and winning the $10,000 prize. The young cooks are judged throughout the season by a rotating panel of both recurring Chopped judges and special guest judges, including Jerome Bettis, Ayesha Curry, Haylie Duff, Jennie Garth, Sarah Michelle Gellar, Carla Hall, Tony Hawk, Eddie Jackson, Ali Larter, Kelsey Nixon, Andrew Rannells, Rico Rodriguez, Debby Ryan, Alison Sweeney, Christine Taylor and more. 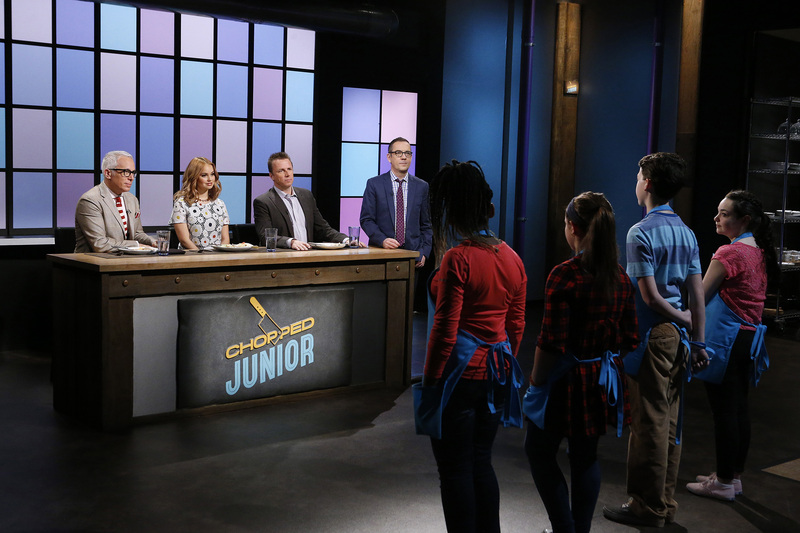 In the premiere episode, for all the kindness the junior chefs show one another, someone must be chopped after the first round, featuring rock shrimp and beef tongue. In the second basket, the kids get quail and a variety of tiny foods, and a very groovy cake makes the dessert round extra colorful. 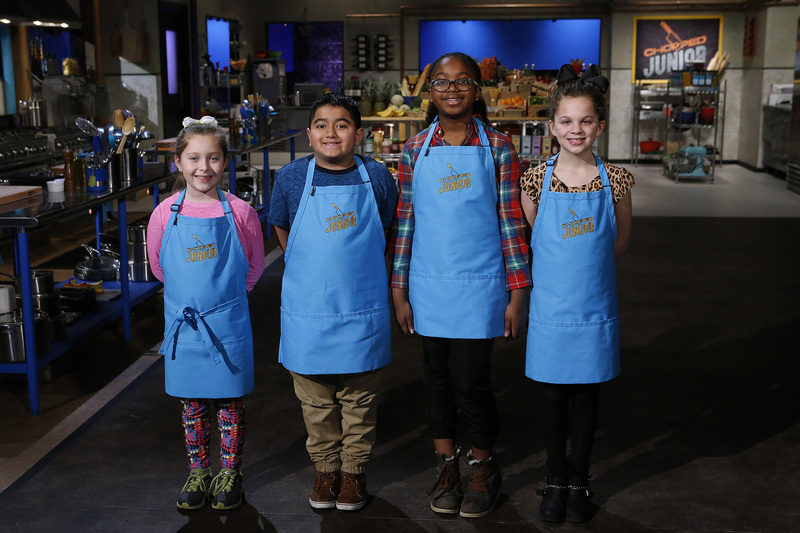 Over 13 episodes, these ambitious young chefs from across the country open their baskets to find mandatory mystery ingredients in each timed-round, hoping to create delectable dishes that impress the judges on three criteria: creativity, plating and taste. 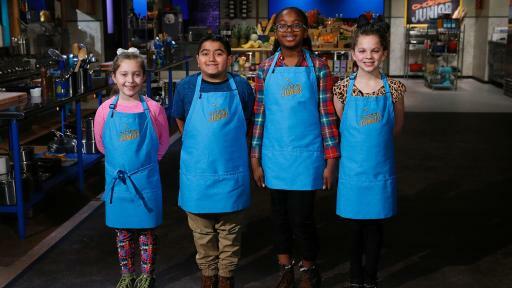 Whether it is transforming liverwurst, pickled daikon radishes, or baby octopus into masterpiece dishes, these junior chefs pull out all the stops in their bid to win $10,000 and the title of Chopped Junior Champion. This season Chopped Junior fans are in for a huge treat: See entertaining behind-the-scenes footage of the talented kid chefs; hear from the amazing panel of judges in interviews captured on set; finally, upgrade your brown-bag lunch with ideas inspired by the competition. 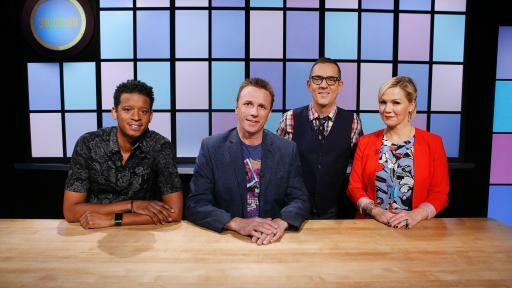 Find the show’s HQ at FoodNetwork.com/ChoppedJunior and talk about the show on Twitter using #ChoppedJunior. 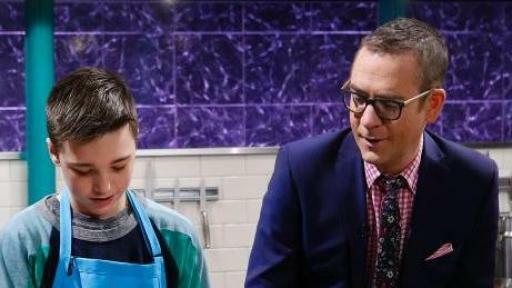 Chopped Junior is produced by Notional.